You think only Google has bean bag chairs in their office. Oh no, that is not true. 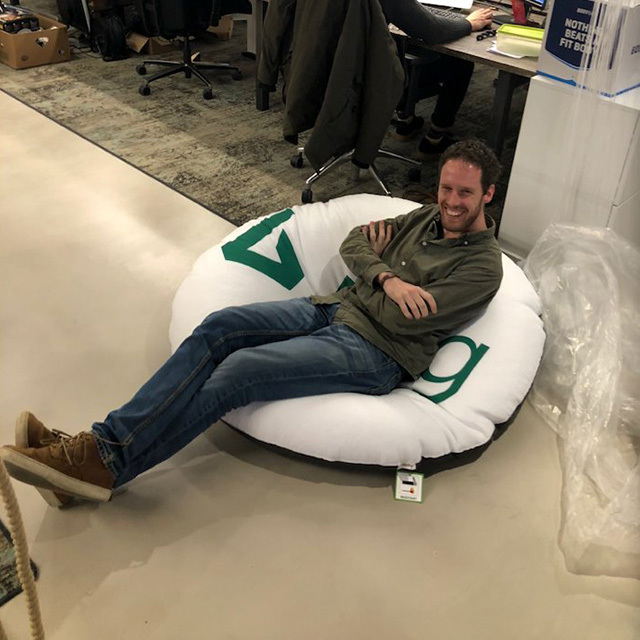 Bing, Microsoft's search engine, also has their own branded Bing bean bag chairs. Here is a photo of someone from Adwise sitting on such a chair. They posted this on Twitter and said "Hi @BingAds, thanks for this gift by winning the #Sint #BingAds challenge!"